Welcome to Diamond Memorials, Inc.
Incoroporated in 1995, Diamond Memorials Inc. 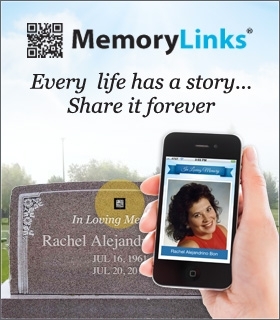 Specializes In Granite Monuments, Bronze Markers, Mausoleums and Monument Lettering. All Colors Available. We Also Sell Memorial Lights and Candles. Owner, Shana Polak Has Been a Veteran of the Trade for 20 Years. We Service All Cemeteries. All Designs Can be Custom Made to Each Families Liking. We Provide Personal Assistance in Choosing the Right Memorial for Your Loved One With No Pressure. We Take All the Time Needed in the Decision Process and Believe Each Memorial Should be Custom Made for Each Special Individual. Please Call Upon Us Whenever You are Ready. We Would be Glad to be of Service to You.